I would like to start by introducing myself my name is George Kamarinos I was born in the city of Melbourne Australia to migrant parents from Greece. I married a beautiful lady by the name of Kavita who migrated to Melbourne Australia about 22 years ago. We have been married for 18 years and have the privilege of taking care of our beautiful daughter Isabella Ioanna Kamarinos. I've been working for Melbourne's train network since 1984 and am still loving it as it brings a lot of challenges as I deal with the patrons of Victoria. 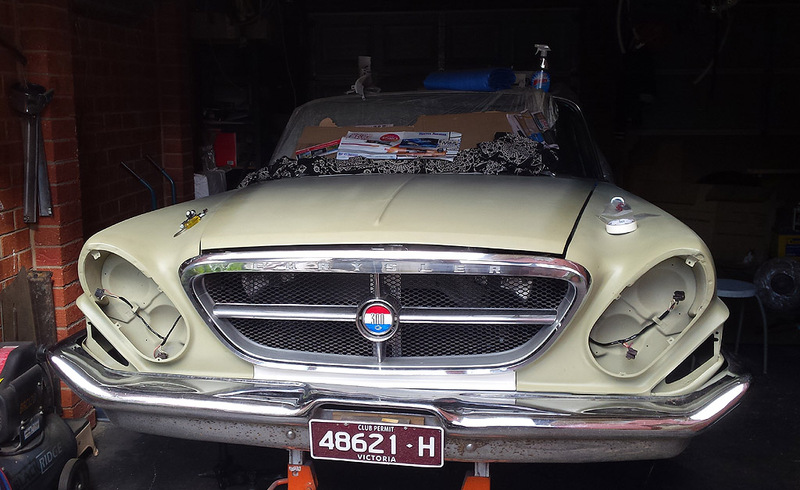 Well the affair with the 1961 Chrysler began about 4 years back after my first trip to the USA. On my arrival back home I was looking for an American late fifties or early sixties vehicle. I actually was looking at a late sixties Buick Rivera as I was looking for something totally different as a lot of Australian's love the iconic Ford Mustang, 1955, 56, 57 Chevrolet & the Camaro. I was determined to be different. 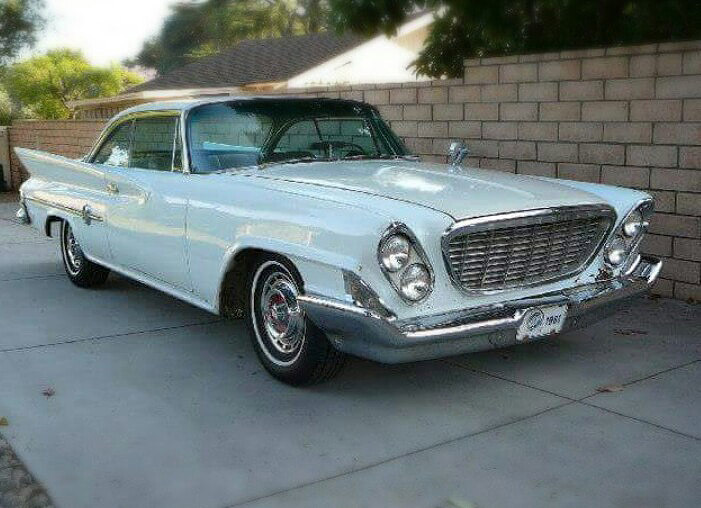 I stumbled across the Chrysler 1961 300G in an add on the Internet. A gentleman by the name of Russell Trainor imports Ford Mustang's and the occasional Chev or Dodge, however his contacts in the states came across this Chrysler 300G which I've been told was a Minnesota vehicle. I really liked what I saw even though it was missing the original grille. My wife Kavita talked me into buying the vehicle as I believed it to be a little pricey as it needs a lot of tlc to bring it back to its original condition. However the vehicle has grown on me and I think its a magnificent vehicle. I did a lot of work to get it roadworthy. I was lucky enough to drive it for a few months in the condition it was in, as I believe that the last time the vehicle was driven may have been in 1987 or 88 as the only evidence in the vehicle was a Kmart receipt. I took a 300 km drive to one of Australia's largest Chrysler car shows (Chrysler on the Murray) only to find out on arrival the old girl had lost reverse. Darn embarrassing, I decided not to show the old girl as I didn't want to be pushing her into her bay for show. My story is at present that I've been waiting patiently after getting all the necessary parts to have the trans fixed. The vehicle has been sitting for two years as I sort out parts that are missing. 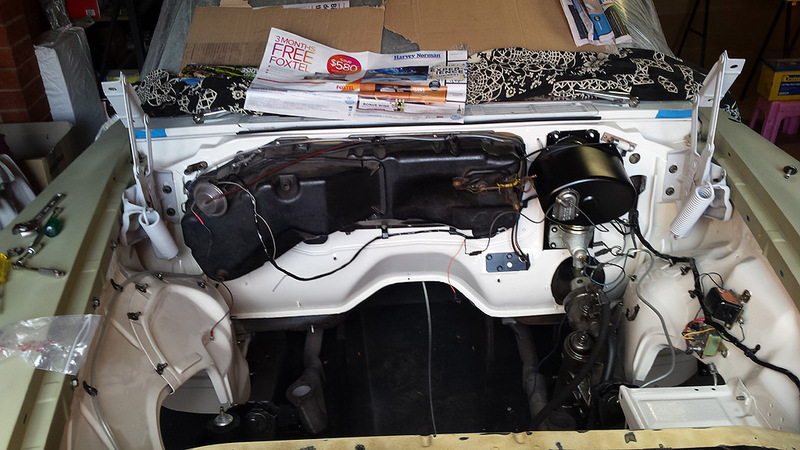 The engine is almost completely redone. We are sorting out body issues as the left dog leg is rusted out. The trunk floor & trunk gutter rail need replacing or fabrication along with front left & right foot wells. The driver side fender had very bad prior repairs which cause corrosion and let me tell you the hood was really bad. Its frame was full of corrosion as the manufacturer didn't even prime the skin nor the frame prior to putting them together -- go figure. The vehicle's front end is fully refurbished and waiting on hub seals as they not available in Oz. That is my story so far.